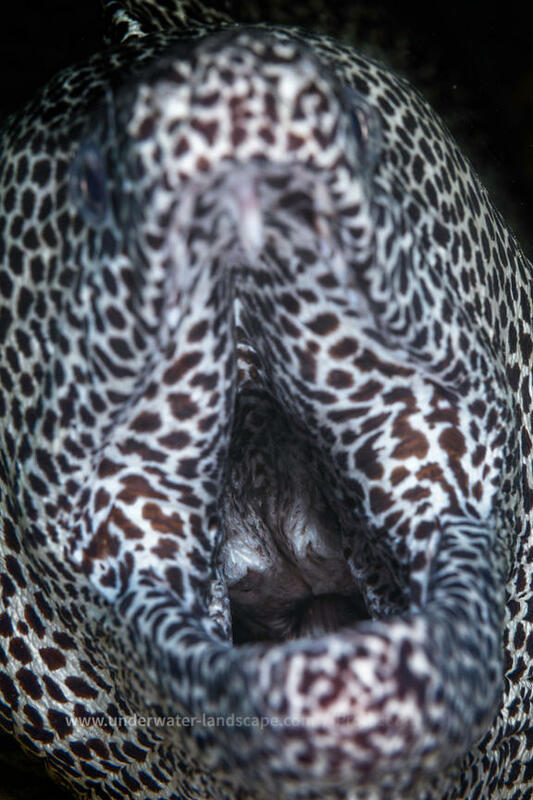 A leopard moray-eater with a wide open mouth. We think twice that it is a form of aggressiveness but it is not the case. 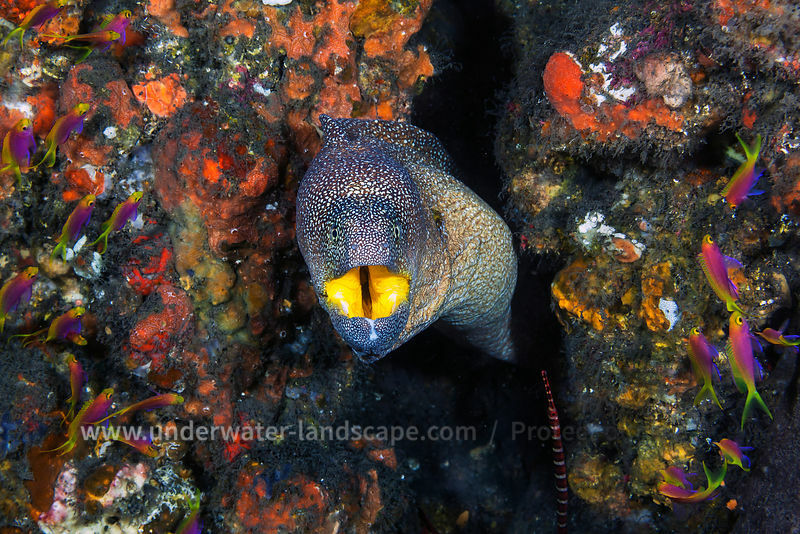 Morays open their mouths to breathe. 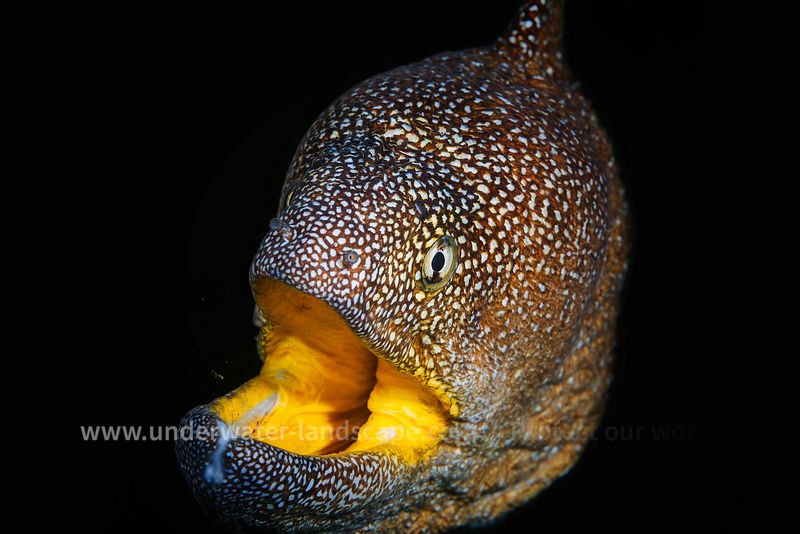 They create a flow of water to their gills.